Organised by the European Commission, the European Development Days (EDD) is Europe’s leading forum on development since 2006. The development community comes together every year to share ideas and experiences in ways that inspire new partnerships and innovative solutions to the world’s most pressing challenges. This year’s edition took place on 6-8 June, 2017 in Brussels. 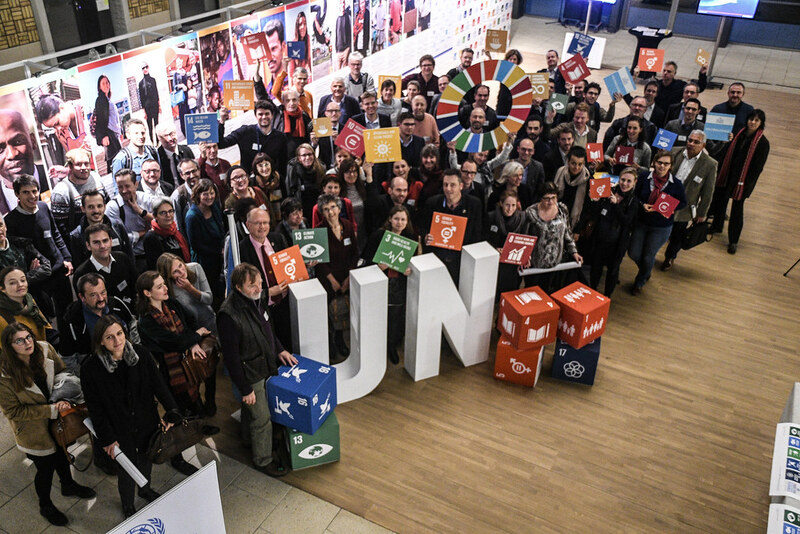 The United Nations Sustainable Development Goals stand at the European Development Days included a wide range of exciting and innovative features such as the #SDGstudio, virtual reality films, touch-screens showcasing data visualizations and polling mechanisms on the SDGs, and a selfie photobooth to invite visitors to show their commitment and take action on the Goals. The UN stand is organized by the UN SDG Action Campaign, the UN in Brussels (25 UN entities), UNECE and the World Bank. Occupying a central space at the European Development Days global village, the UN SDG stand is a convening space to engage thousands of visitors on the Sustainable Development Goals and showcase the efforts of the United Nations and its partners around the implementation of the 2030 Agenda. There were 35 #SDGStudio dialogues! 16 on Day 1 and 19 on Day 2.